In an exciting development Ben Tuck will be making a return to the British GT Championship for the final round at Donington next weekend with Ginetta factory outfit Century Motorsport. Ben will be partnering team boss, Nathan Freake in the second of the teams Ginetta G55 GT3’s. 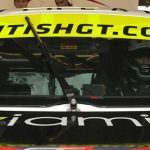 The opportunity comes after Ben’s initial foray into the top tier of British GT racing ended prematurely when his team mate for the weekend, Tom Hibbert, crashed in free practice before the race causing catastrophic damage to their G55 GT3 machine. “I’m so excited to get another chance to show what I can do in the GT3. Donington is one of my favourite circuits and I’m feeling confident I can do a good job for Century and Ginetta.” said Ben. “It was a disappointment when Tom had the shunt as I hadn’t driven the car at that point. The most important thing is that he was OK as it was a huge impact. 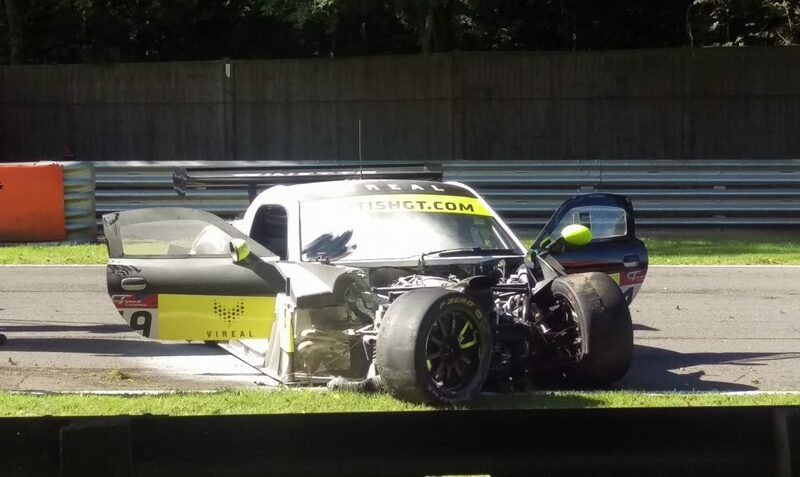 Century and Ginetta looked carefully at trying to rebuild the car, but they did the right thing by retiring it in the end. It was great to still be part of the team and I learned a lot from the guys over the weekend, I just can’t wait to go out and contribute to the team effort properly next weekend”. The British GT ‘Donington Decider’ is to be held on 23rd and 24th September and comes just a week after Ben tested at the Midlands circuit in the mighty Ginetta G57. Ben was full of admiration for the prototype car. 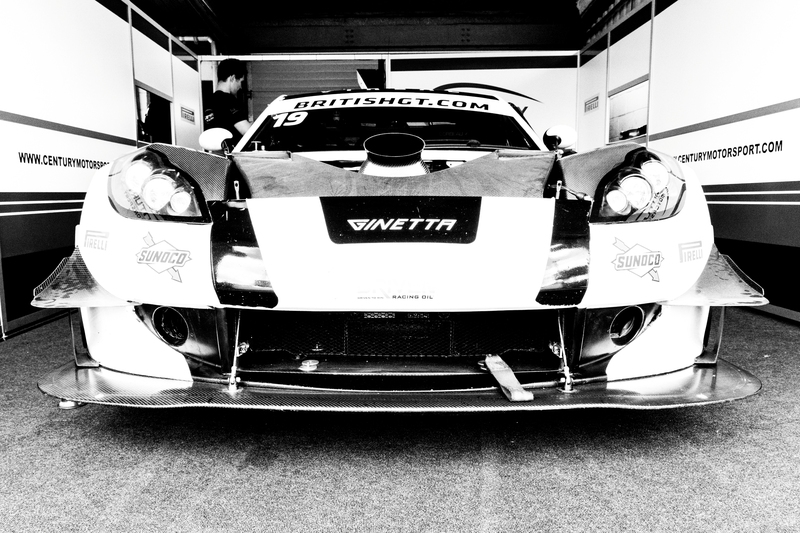 “It was great preparation for the G55 GT3 and Ginetta have made a stunning race car in the G57. It’s the fastest car I have ever driven but it gave so much confidence and such excellent feedback, I felt comfortable and was able to be right on the pace after only a few laps”, he said. Ben impressed Ginetta with his performance, which saw him use the impressive power of the G57 to drive past his future British Championship GT3 adversaries who were also testing. “It felt so strange to be overtaking and dropping the GT3’s!” said Ben. “The power, grip and drivability of the G57 is just incredible. Everything happens so much faster, but I got used to it OK I think. Before you can even think about it you’re through the corner and then the throttle becomes a time warp switch to the next corner! I can’t wait to jump into the Ginetta G55 GT3 now”. Ben’s performance in the G57 and his upcoming GT3 duties come off the back of his first ever GT appearance at Silverstone in June, where he took another Ginetta to victory, piloting a G55 GT4 to a class win and a 2nd place over the two race GT Cup weekend. “It’s been an amazing few months to go from the Caterham Supersport Championship, to the GT4 win and then the G57 test followed by the British GT Championship in a GT3!” said Ben. “But I’ve felt so comfortable with the increase in pace at every stage, so hopefully the GT3 weekend should work out well”. “A big thanks have to go to Ginetta and Century Motorsport for making me feel so welcome. Also massive thanks to my sponsors Aviamics, TTS, Saturn Systems, and Vireal for making these plans possible. It’ll also be great working with Vireal and Bamb media for the weekend again”. Ben competes in the final round of the British GT Championship at Donington on 24th September from 1:30pm with Live streaming of the race at www.britishgt.com/live.